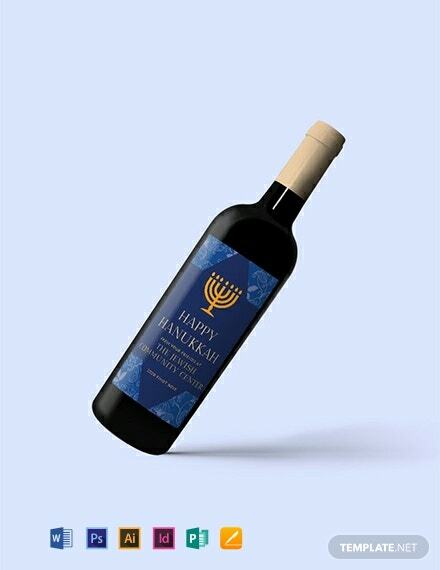 Better sell your wine brand during the Hanukkah with this wine label template. Elegant and professionally designed, this template uses high-quality and printable content. Free to download and easy to edit.